The words came out so fast and for the silliest of reasons. 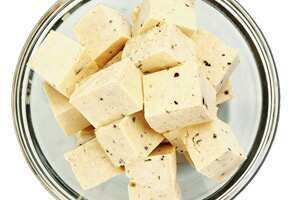 Last week, my Japanese neighbour, Mayumi, shared her fresh home-made tofu with me. A few hours later, I ran into her in the garden downstairs. “How do you like the tofu?" she asked with a hopeful beam. “Oh, it’s wonderful. So soft and fresh," I replied. Had Mayumi asked, “Did you taste the tofu? ", it would have been very easy for me to say I hadn’t. But when she asked if I liked the tofu, and that too with such a hopeful smile on her pretty face, it seemed cruel to say “No". Far easier to please her by saying that the stuff she had prepared for me was ripe and tasty. With a simple white lie, I was making her happy. “Did you sleep well, Ma?" “Like a baby, darling. I loved having you back in our bed," I replied with a genuine Duchenne smile that involves both the zygomatic major muscle and the rise of the orbicularis oculi. Authentic smile; fake words. Authentic sentiment but not the truth. Is truth overrated? A few days later, I lied again, to another friend, who had dropped in at home to pick up something. It was prearranged. I had forgotten. My friend sent me a message: “Where are you?" I am on my way, I SMSed back. It was technically true. I was on my way home, in an hour, after finishing my pedicure. My friend picked up the package and left. Actually, that was a white lie. I wasn’t at a pedicure. I was having a massage but I didn’t want you readers to think I was a dilettante. You see, this is why we lie: to make ourselves seem better than we are. White lies serve a noble purpose in society. They lubricate social interactions and make life bearable. What if the colleague you are attracted to doesn’t like you? When you ask her out to lunch, do you think she is going to say: “Sorry, but I can’t stand you so I’d rather not have lunch with you. Not now. Not ever." She’s going to make up a reason: say that she has other commitments and is “otherwise engaged". You know she is lying but your foolish ego will thank her for it anyway. So the next time you ask me how the tofu was, I’ll say: “It was tasteless. I only eat it for the good flavonoids and antioxidants." Unless you are Japanese and enjoy subtle cuisine, you’ll know exactly what I mean.